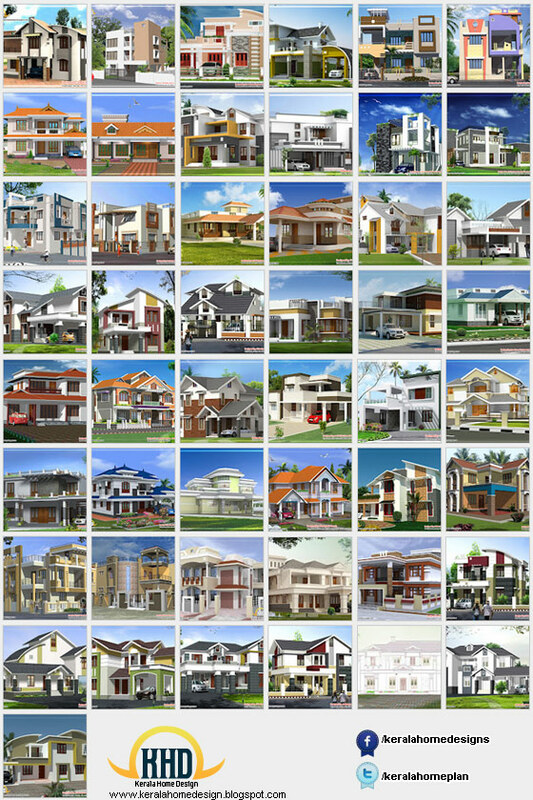 Here is the list of home design ideas of April 2012. 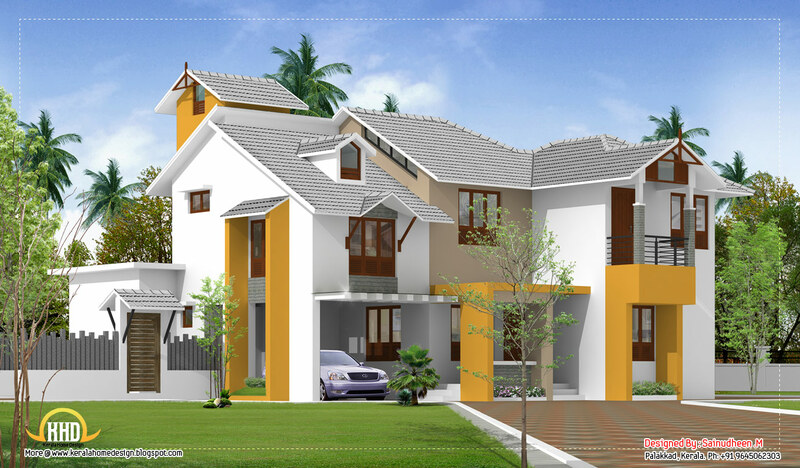 2 story contemporary Kerala home - 2509 Sq.Ft. Contemporary villa in Kerala - 2592 Sq.Ft. 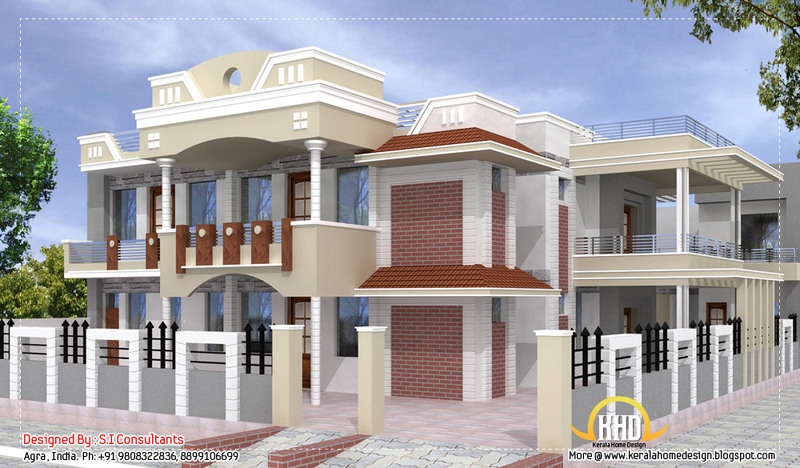 Contemporary India house plan - 2185 Sq.Ft. 2509 Square Feet (233 Square meter) (279 Square Yards) 2 story contemporary Kerala home design by Abdul Rahiman S.P (Shade IN Designers), Kasaragod, Kerala. We are happy to announce that we are starting a new segment, through you can sell your home/villa/flat. As always it's free to list. 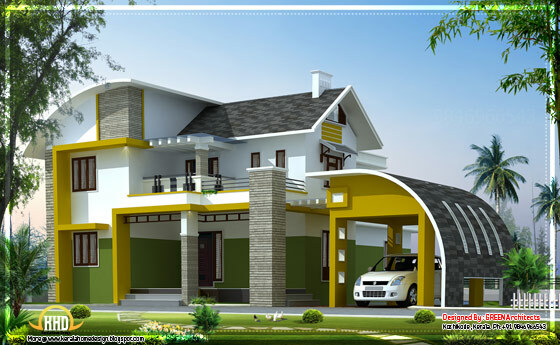 If you want to use this service send your home/villa/flat photographs + square feet details along with the contact details to keralahomedesign@gmail.com. 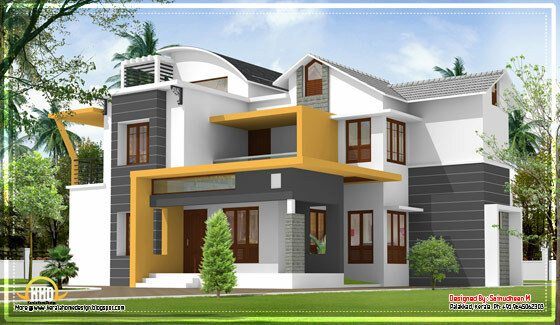 2592 Square Feet (241 Square Meter) (288 Square Yards) Contemporary villa in Kerala design by Green Architects, Kozhikode,Kerala. Ground Floor : 1452 Sq.Ft. Total Area : 2592 Sq.Ft. 2185 Square feet (203 Square Meter) (243 Square Yards) Contemporary India house plan by Sanjay Doshi (Rachana Architect), Godhra,Gujarat - India. 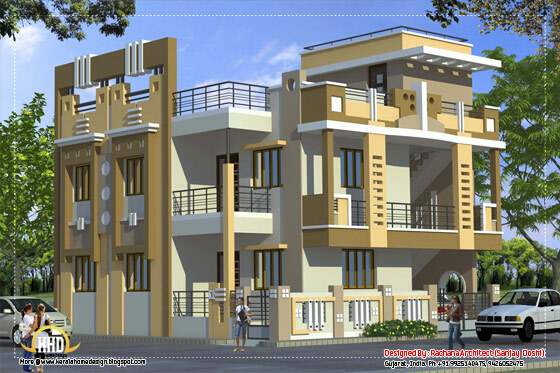 Ground Floor: 1193.17 Sq. Ft.
First Floor: 991.88 Sq. Ft.
Total Area: 2185.05 Sq. 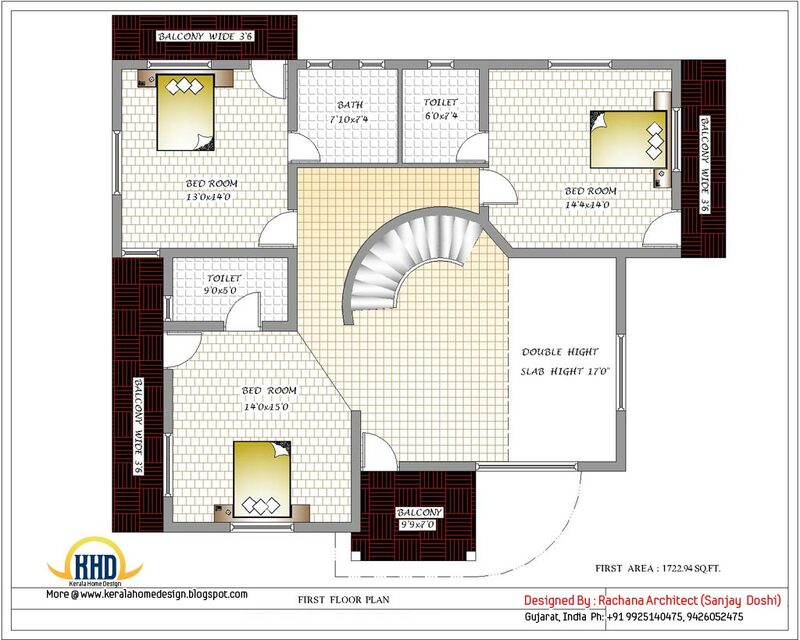 Ft.
1582 Square feet (147 Square Meter) (176 Square Yards) India house plan design by Sanjay Doshi (Rachana Architect), Godhra,Gujarat - India. 2390 square feet (222 square meter) (266 Square Yards) Modern Sloping roof house design by Greenline Architects, Calicut, Kerala. 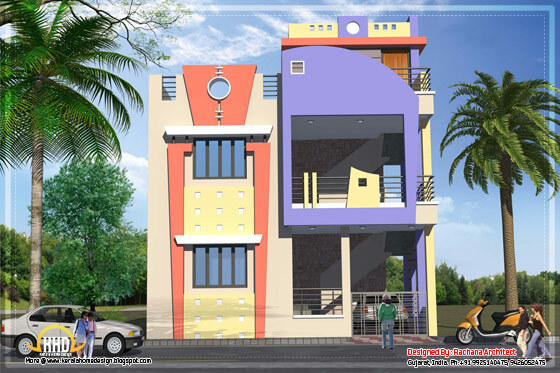 Total Area : 2390 sq. ft. 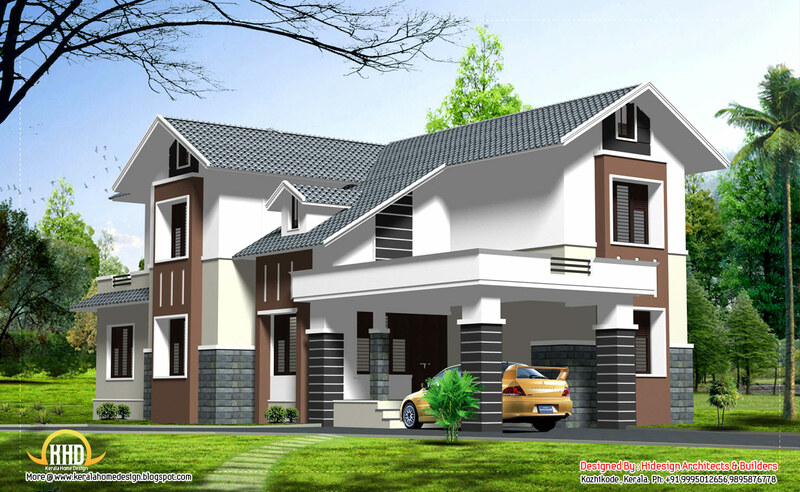 Contemporary Kerala home design - 1800 Sq.Ft. 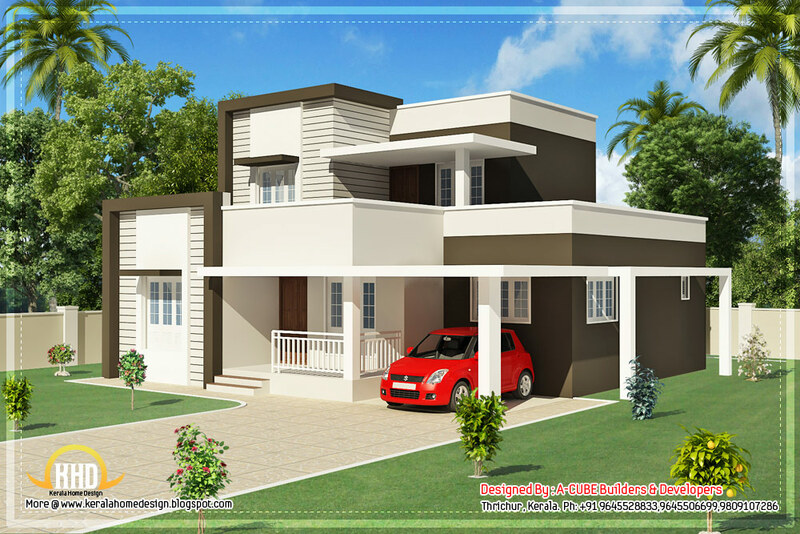 1800 square feet (167 Square Meter) (200 Square Yards) Contemporory Kerala home design by A-CUBE Builders & Developers Thrichur, Kerala. Beautiful Contemporary low cost home in Kerala - 1923 Sq. 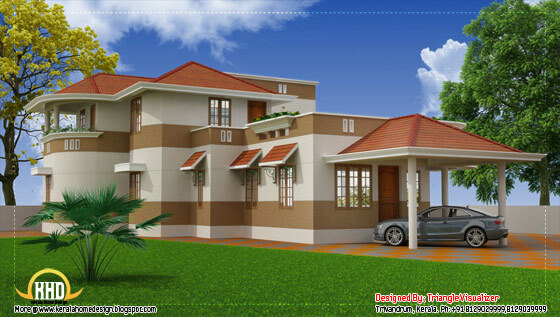 Ft.
1923 Square Feet (179 Square Meter) (214 Square Yards) low cost home in Kerala by Triangle Homez, Trivandrum, Kerala. Beautiful Sloping roof villa - 3700 Sq. Ft.
Modern home design in Kerala - 2520 Sq.Ft. 2520 Square Feet (234 Square Meter) (280 Square Yards) Kerala model modern home design by Sandhya & Sanilkumar (Design Gallery) Kerala. Total Area - 2520 Sq.Ft. 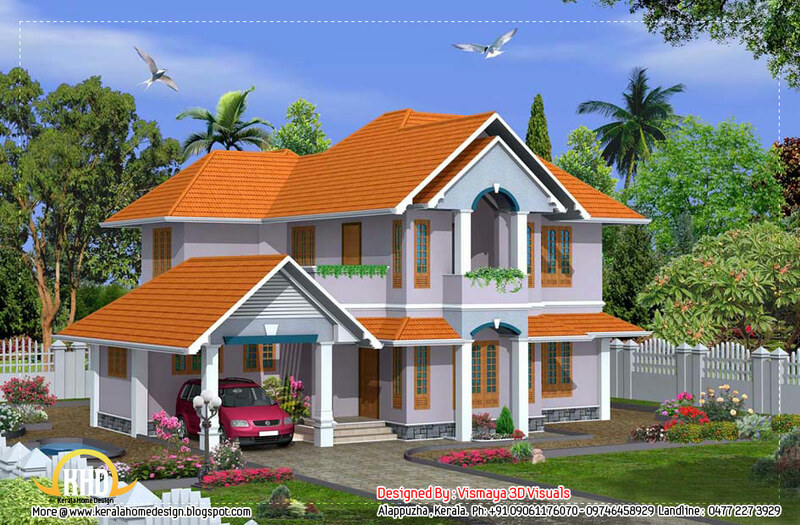 Beautiful Kerala home design - 2222 Sq.Ft. 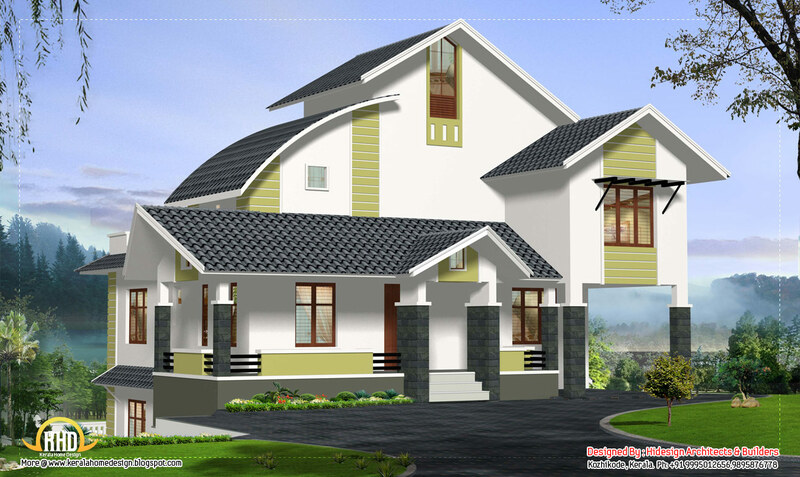 2222 Square Feet (206 Square Meter) (247 Square Yards) Kerala model home design by Green Homes, Thiruvalla, Kerala. 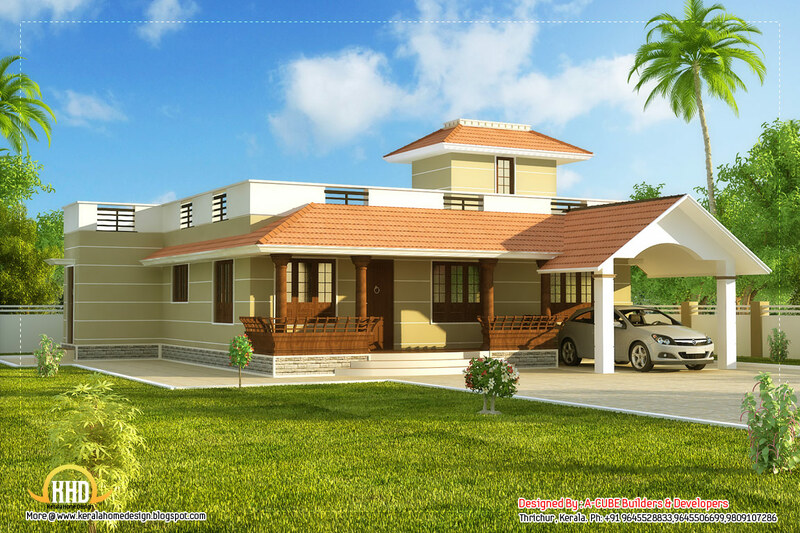 A Nice Kerala style sloped roof house - 2350 Sq. 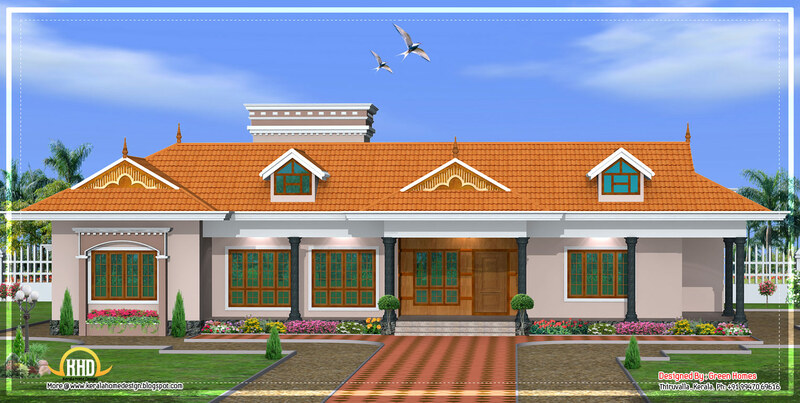 Ft.
2350 Square Feet (218 Square Meter) (261 Square Yards) Kerala style sloped roof house design by Green Homes, Thiruvalla, Kerala. Kerala single story house model - 2800 Sq. 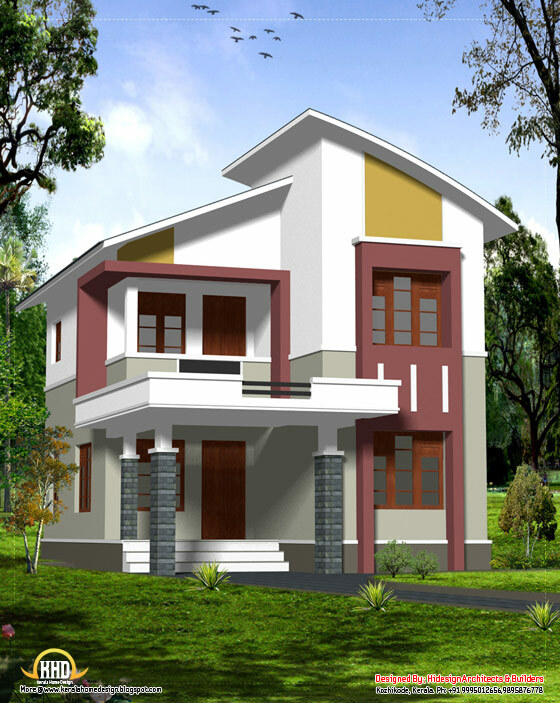 Ft.
2800 Square Feet (260 Square Meter) (311 Square Yards) Kerala model single story house design by Green Homes, Thiruvalla, Kerala. 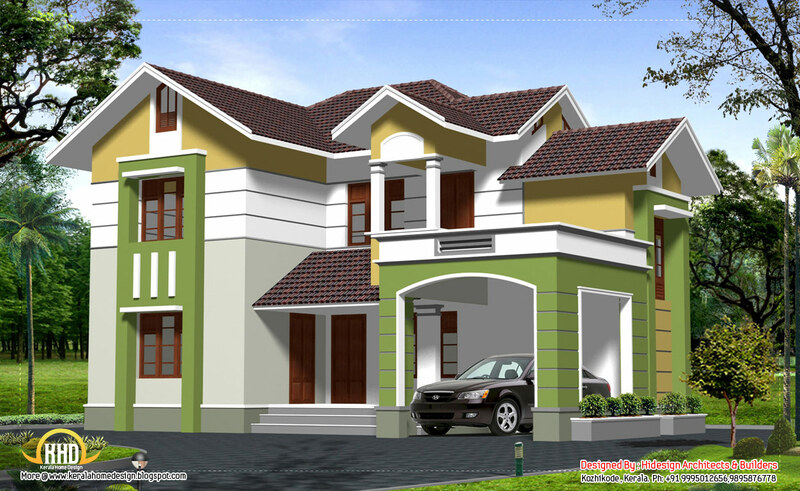 Modern contemporary Kerala home design - 2270 Sq.Ft. Ground Floor : 1320 Sq.Ft. 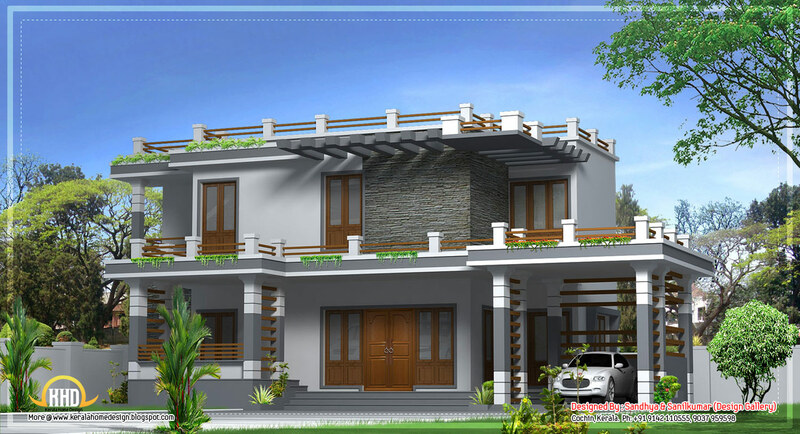 Contemporary 2 storied Kerala home design - 2400 Sq. 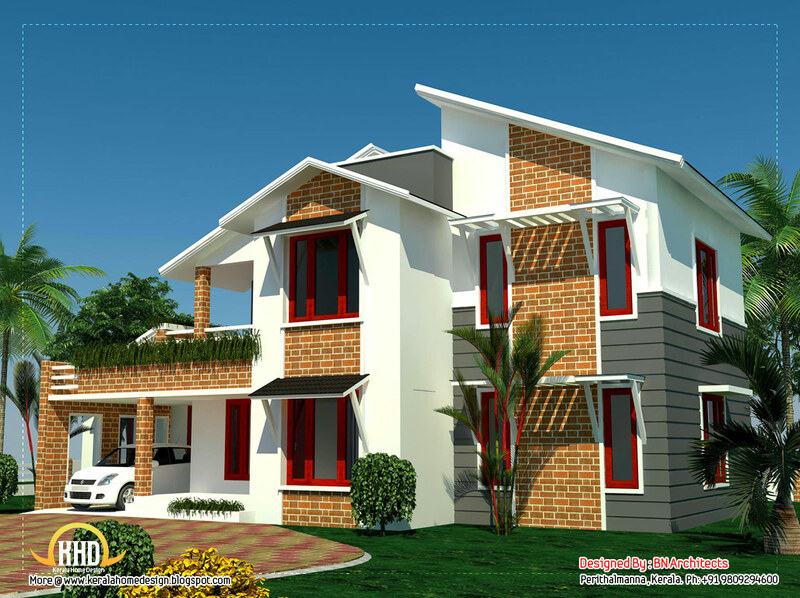 Ft.
2400 square feet (223 square meter) (267 Square Yards) Contemporary 2 story Kerala home design by Greenline Architects, Calicut, Kerala. 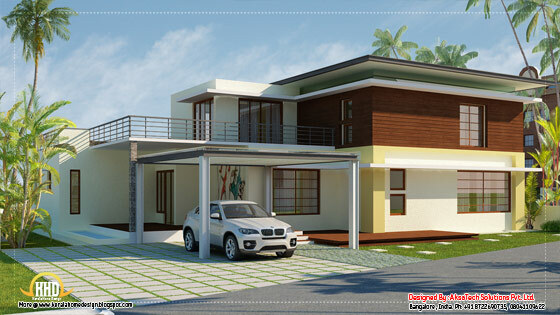 Cute modern home design - 1230 Sq. Ft.
Modern Kerala home design - 2012 Sq. Ft. Unique house design - 1650 Sq. 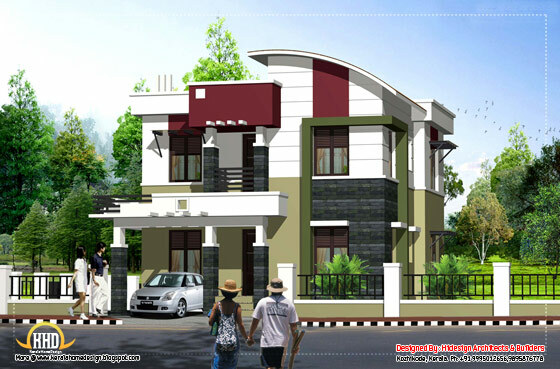 Ft.
Beautiful Kerala home design - 2380 Sq. Ft.
2380 Square Feet (221 Square Meter) (264 Square Yards) Kerala style home design by Vismaya 3D Visuals, Ambalapuzha, Alappuzha, Kerala. Ground floor : 1380 sq. 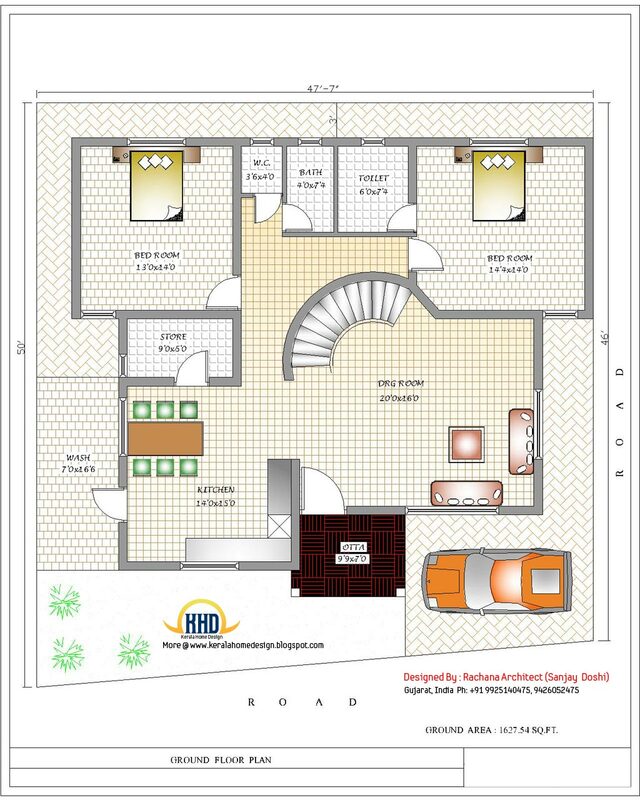 ft.
Total area : 2380 sq. ft.
4 Bedroom Sloping roof house in Kerala - 2354 Sq. 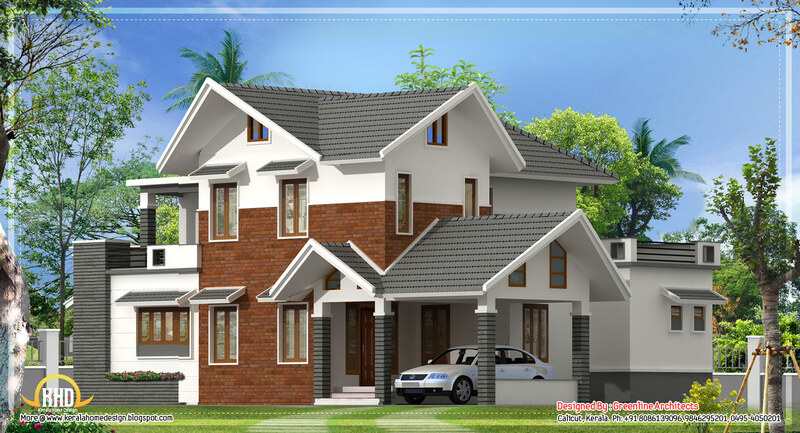 Ft.
2354 Square feet (219 Square Meter) (262 Square Yards) 4 Bedroom Sloping roof house in Kerala design by BN Architects, Perithalmanna, Kerala. 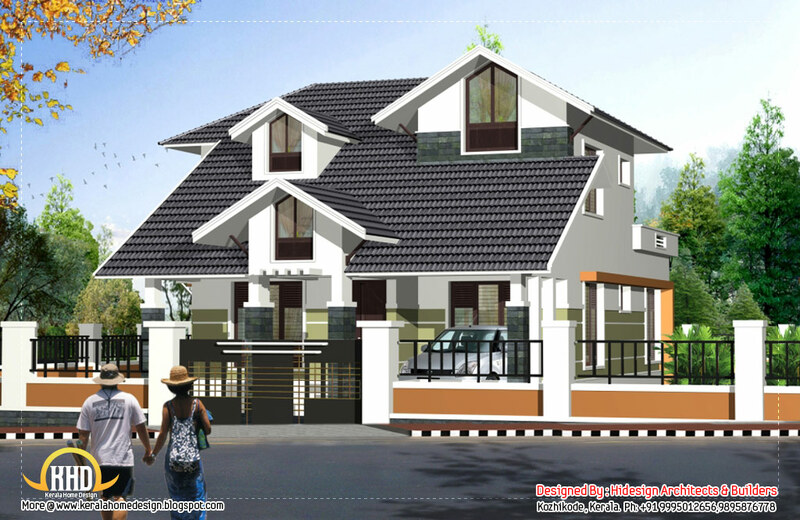 2 storied Kerala home design - 2080 Sq.Ft. 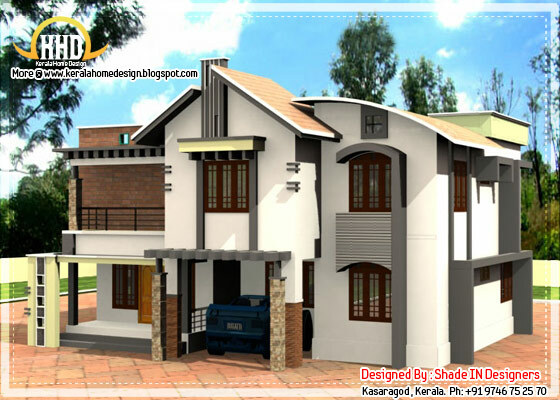 2080 Square Feet (193 Square meter) (231 Square Yards) 2 story Kerala home design by Abdul Rahiman S.P (Shade IN Designers), Kasaragod, Kerala. 2370 Square feet (220 Square Meter) (263 Square Yards) Indian style home design by Sanjay Doshi (Rachana Architect), Godhra,Gujarat - India. 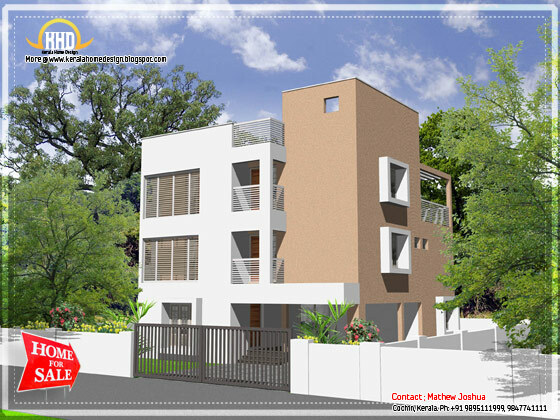 Ground Floor: 1185.13 Sq. 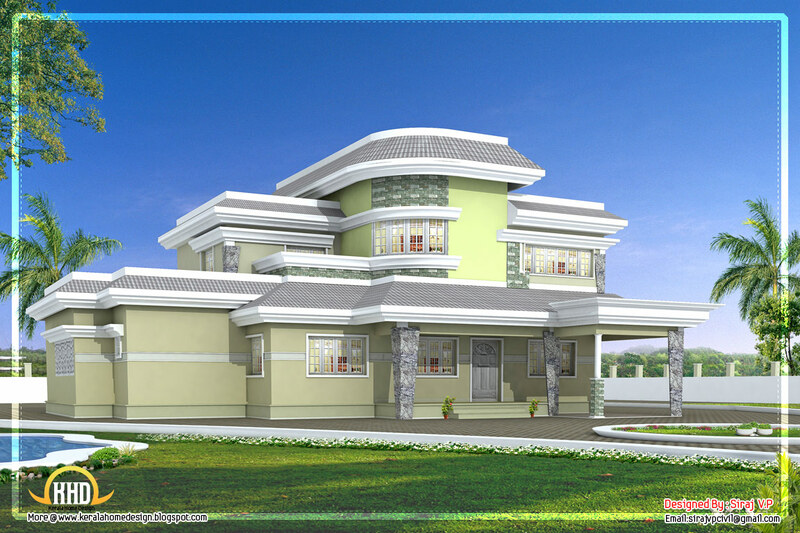 Ft.
First Floor: 1185.13 Sq. Ft.
Total Area: 2370.36 Sq. Ft. 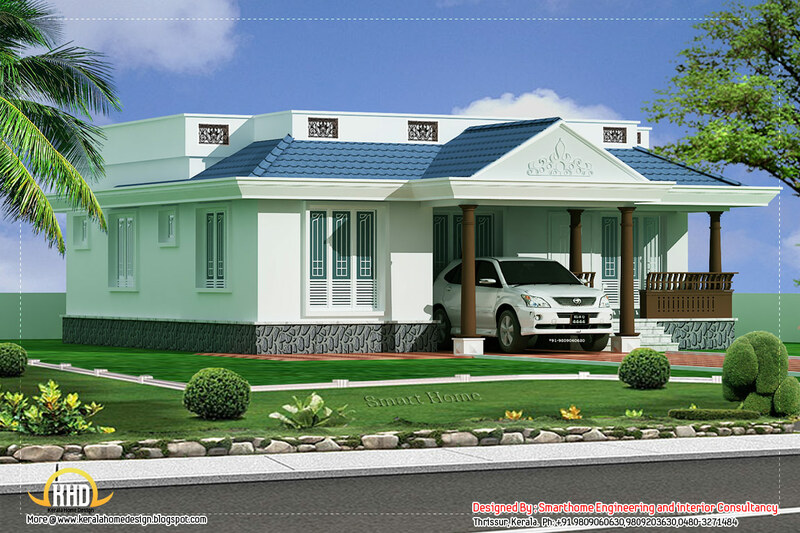 Luxury Indian home design with house plan - 4200 Sq.Ft. 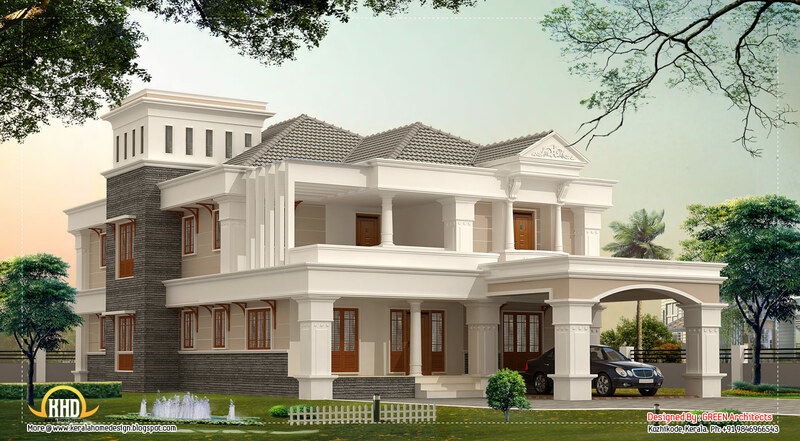 4200 Square feet (390 Square Meter) (467 Square Yards) Indian luxury home design by Sanjay Doshi (Rachana Architect), Godhra, Gujarat - India. 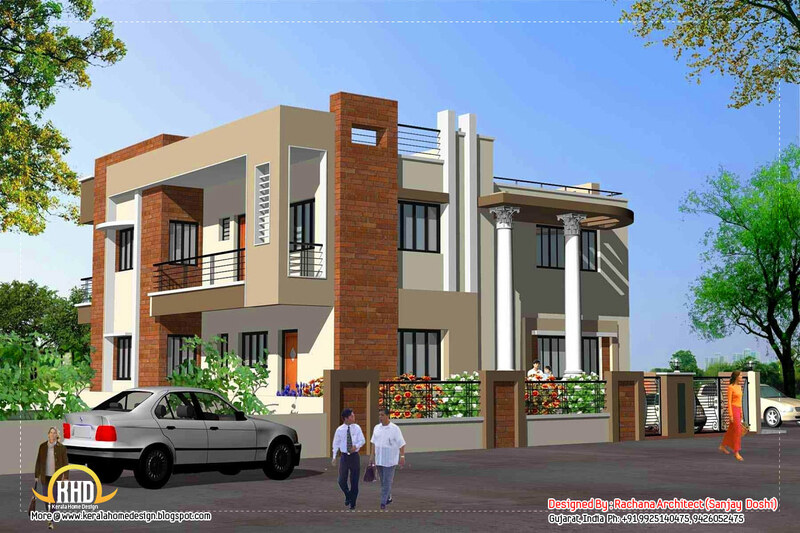 Ground Floor: 2150 Sq. Ft.
First Floor: 2050 Sq. Ft.
Total Area: 4200 Sq. Ft.
Indian home design with house plan - 2435 Sq.Ft. 2435 Square feet (226 Square Meter) (270 Square Yards) Indian home design by Sanjay Doshi (Rachana Architect), Godhra, Gujarat-India. 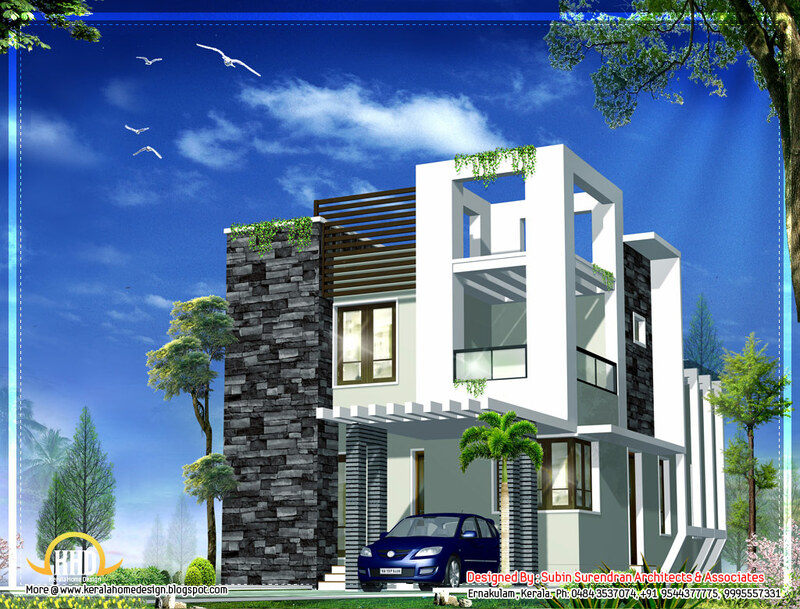 Ground Floor: 1217.50 Sq. Ft.
First Floor: 1217.50 Sq. Ft.
Total Area: 2435 Sq. 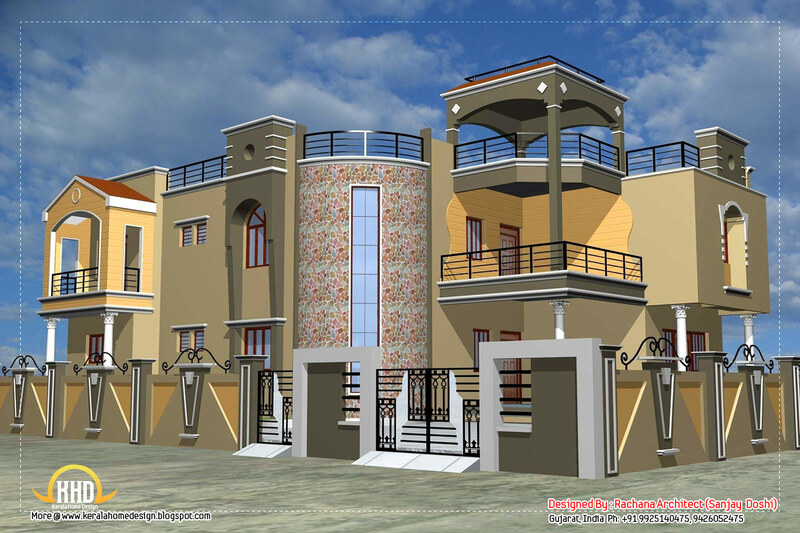 Ft.
3200 Square feet (297 Square Meter) (356 Square Yards) Indian home design by Sanjay Doshi (Rachana Architect), Godhra, Gujarat - India. 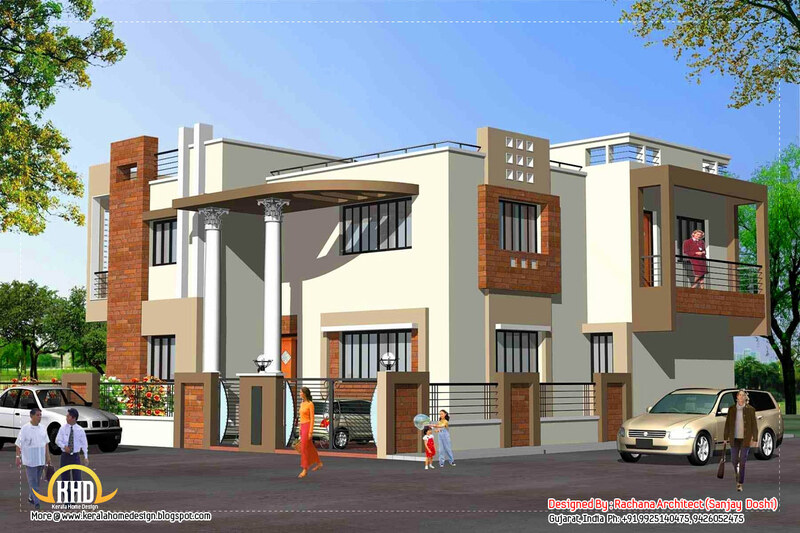 Ground Floor: 1550 Sq. Ft.
First Floor: 1650 Sq. Ft.
1395 square feet (130 Square Meter) Single story Kerala model house design by A-CUBE Builders & Developers Thrichur, Kerala. 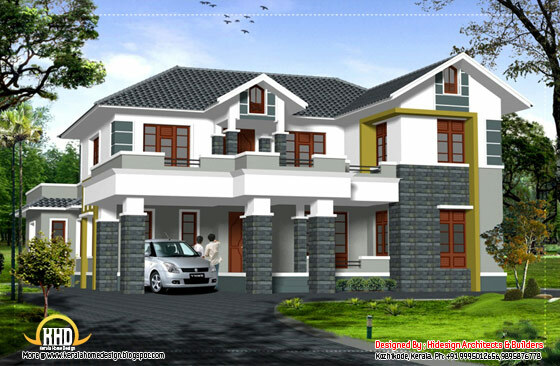 Beautiful modern traditional Kerala home - 2325 Sq. Ft.
2325 Square Feet (216 Square Meter) Modern traditional Kerala home design by Triangle Homez, Trivandrum, Kerala. First Floor : 825 Sq. 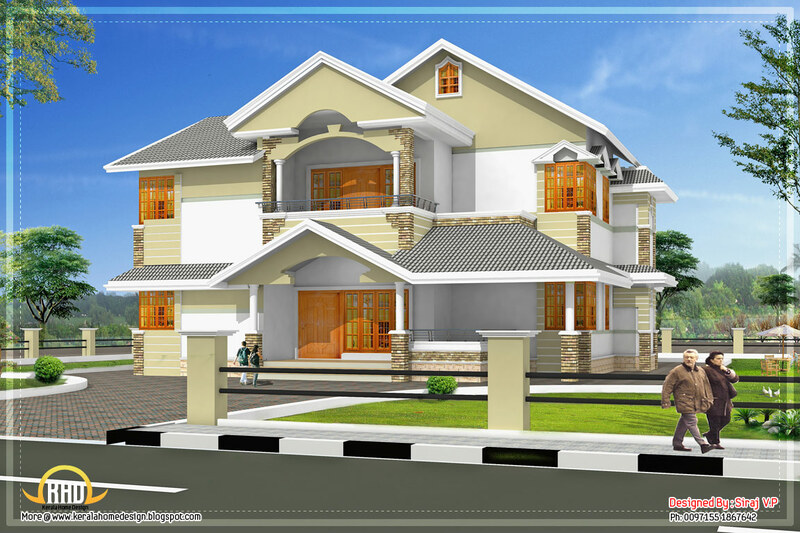 Ft.
Modern Kerala home design - 2135 Sq.Ft. 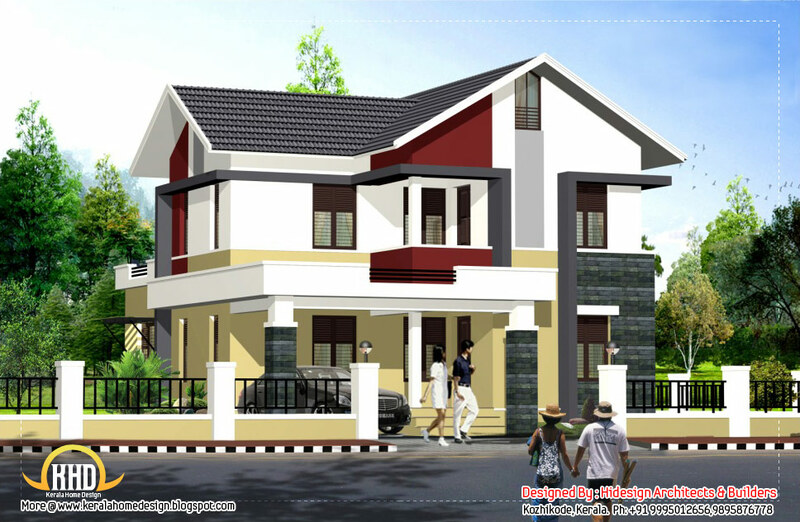 Ground Floor : 1322 Sq.Ft. First Floor : 813 Sq.Ft. 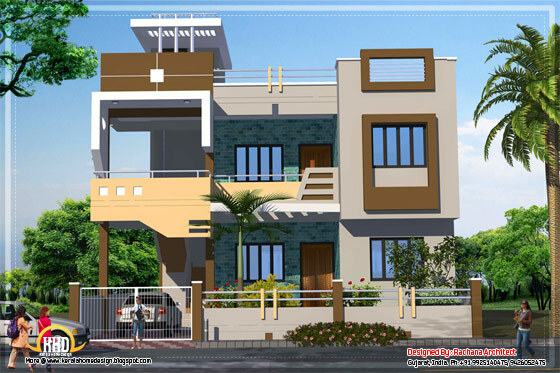 Total Area : 2135 Sq.Ft. Kerala home design single floor - 2330 Sq. 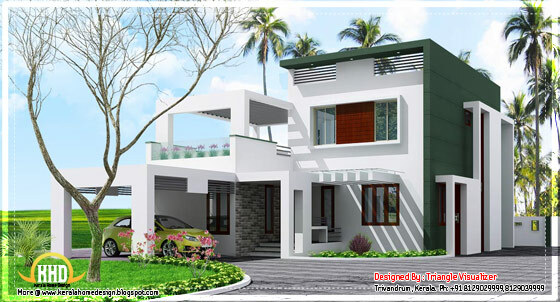 Ft.
2330 square feet (216 square meter) Kerala home design single floor design by Greenline Architects, Calicut, Kerala. 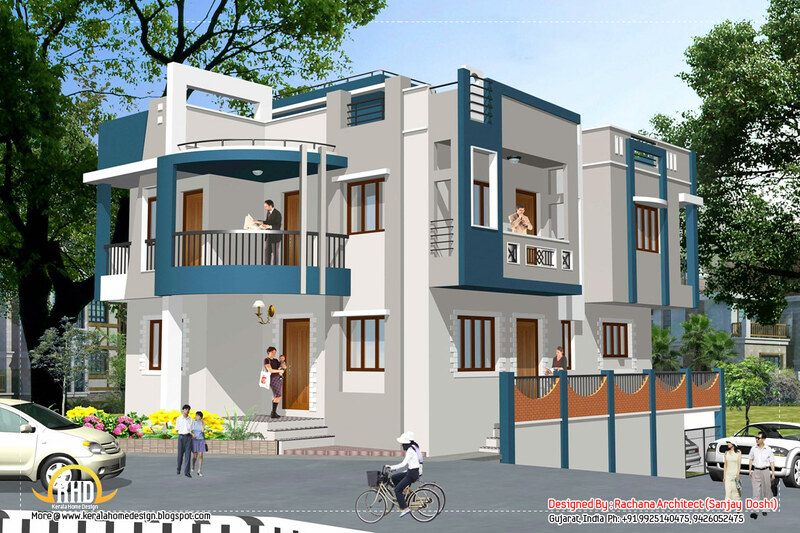 Ground Floor : 2330 sq. 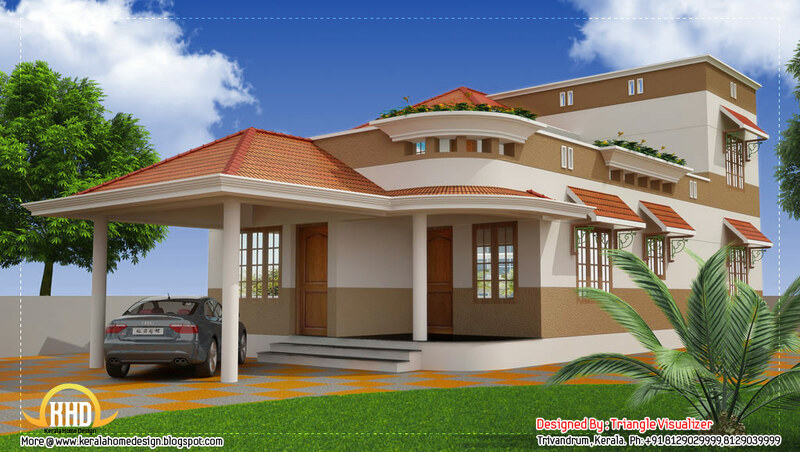 ft.
Indian home design with plan - 5100 Sq. Ft.
3700 Square Feet (344 Square Meter) Luxury villa designby Green Architects, Kozhikode,Kerala. Contemporary budget home - 1836 Sq. Ft.
1836 Square Feet (171 Square Meter) Contemporary budget home design design by Hidesign Architects & Builders, Koyilandy, Kozhikode, Kerala. Ground Floor : 1203 Sq. Ft.
First Floor : 633 Sq. Ft.
Total : 1836 Sq. Ft. Contemporary home design for stepped ground - 3067 Sq. 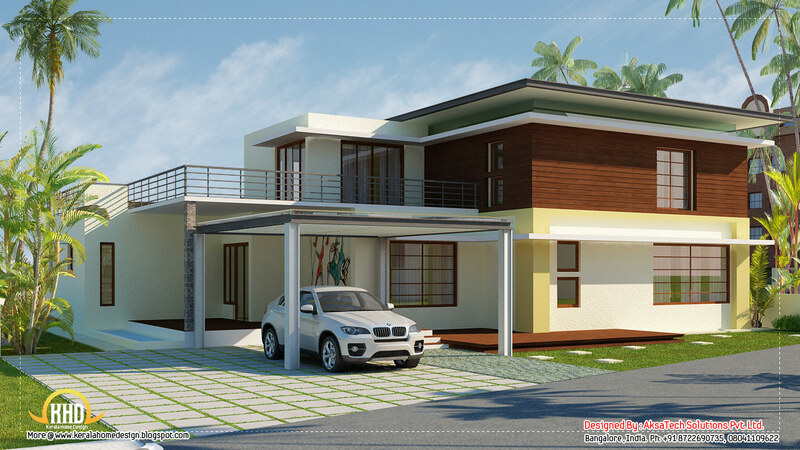 Ft.
3067 Square Feet (285 Square Meter) Contemporary home design for stepped ground design by Hidesign Architects & Builders, Koyilandy, Kozhikode, Kerala. Ground Floor : 1644 Sq. Ft. Basement Floor :1101 Sq. 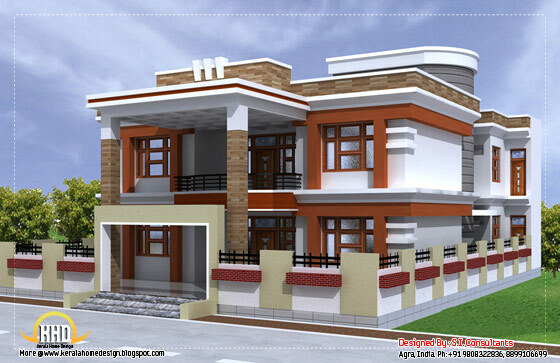 Ft.
Total : 3067 Sq. Ft. 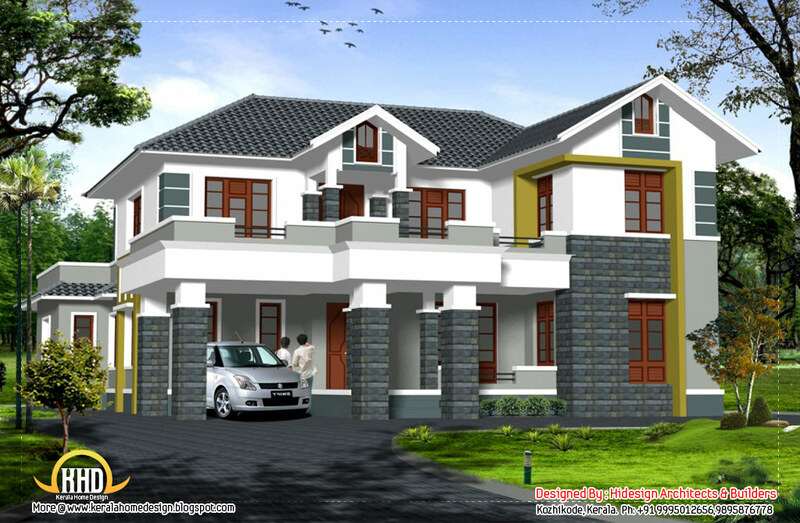 Traditional contemporary style 2 story home design - 2537 Sq. 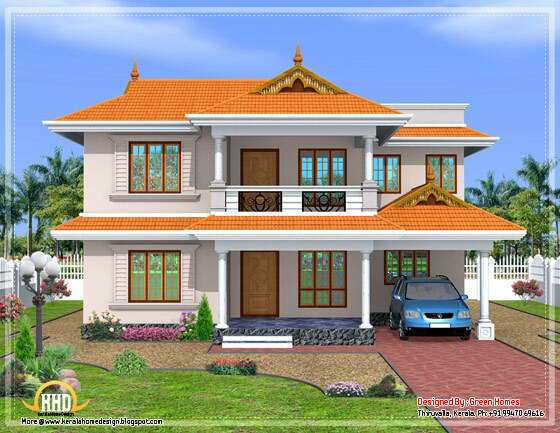 Ft.
2537 Square Feet (236 Square Meter) Traditional contemporary style 2 story home design by Hidesign Architects & Builders, Koyilandy, Kozhikode, Kerala. Ground Floor : 1624 Sq. Ft.
Total : 2537 Sq. Ft. 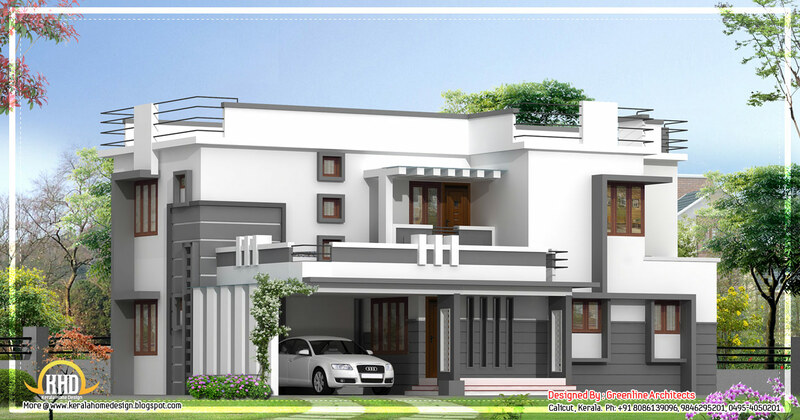 Double story home design - 2463 Sq. 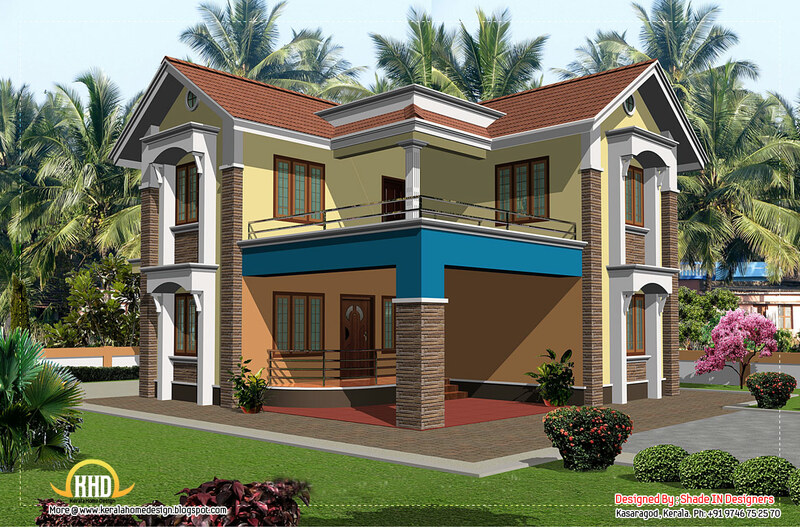 Ft.
2463 Square Feet (229 Square Meter) Double story home design by Hidesign Architects & Builders, Koyilandy, Kozhikode, Kerala. Ground Floor : 1517 Sq. Ft.
First Floor : 947 Sq. Ft.
Total : 2463 Sq. Ft.
Budget home design - 2140 Sq. Ft.
2140 Square Feet (199 Square Meter) Budget home design by Hidesign Architects & Builders, Koyilandy, Kozhikode, Kerala. Contemporary sloping roof 2 story house - 2125 Sq. Ft. Ground Floor : 1371 Sq. Ft.
First Floor : 754 Sq. Ft.
Total : 2125 Sq. Ft.
Beautiful Single floor home - 2910 Sq. Ft.
Modern contemporary home elevations by Aksatech Solutions, Bangalore, India. 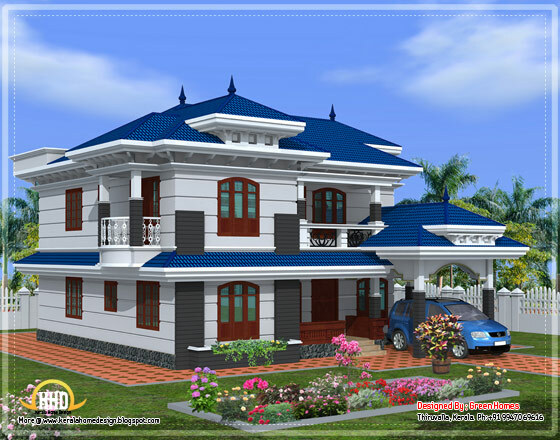 Sloping roof 2 Story home -2907 Sq. Ft. 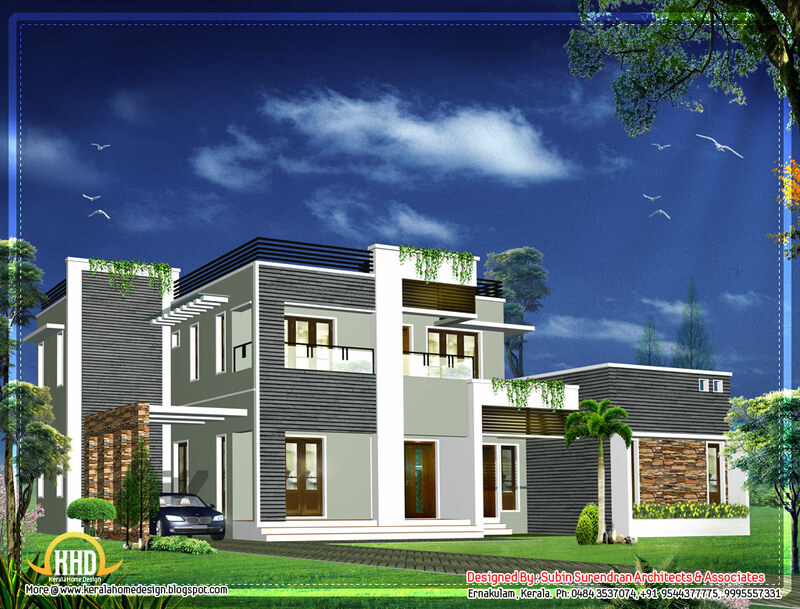 Contemporary style home -1956 Sq. Ft.